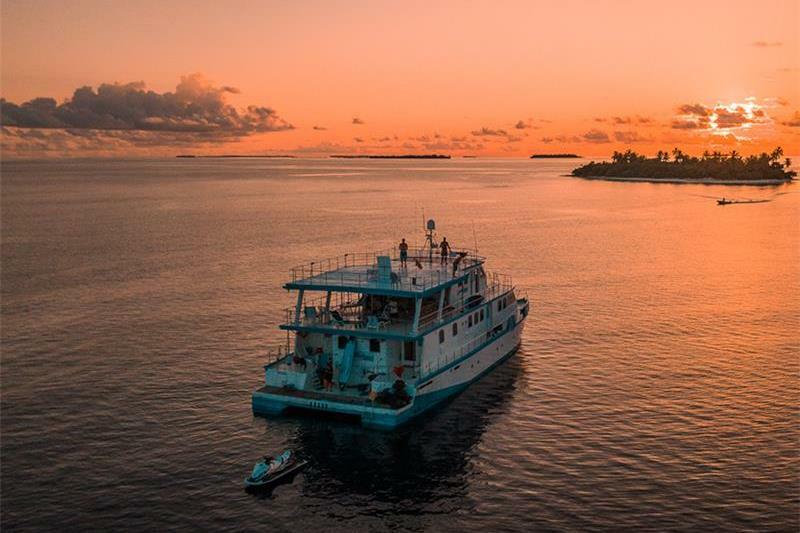 Chase a great variety of waves in Male as well as the Outer Atolls aboard The Perfect Wave Naera, a spacious surf charter with 8 comfortable cabins, and the option for a masseuse and a jetski. 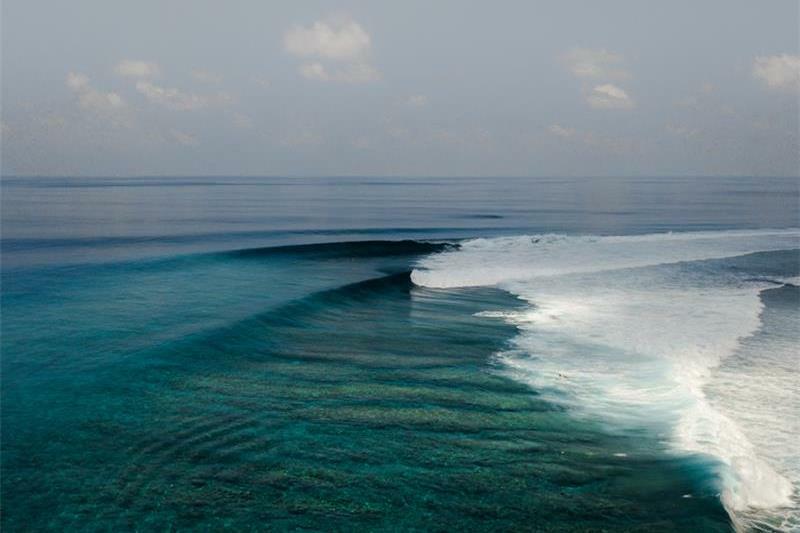 Your Perfect Wave expert surf guide will take you to new and great waves every morning. 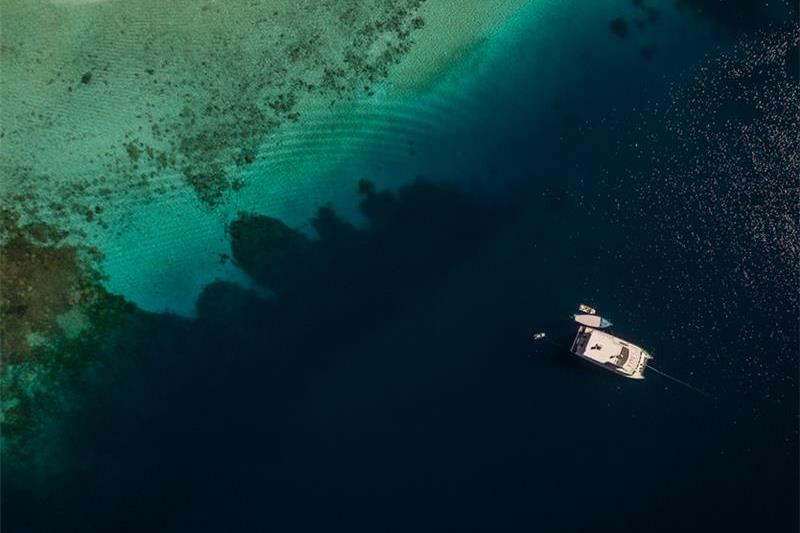 The Naera is a spacious twin hull boat that offers comfort and luxury on the ocean. 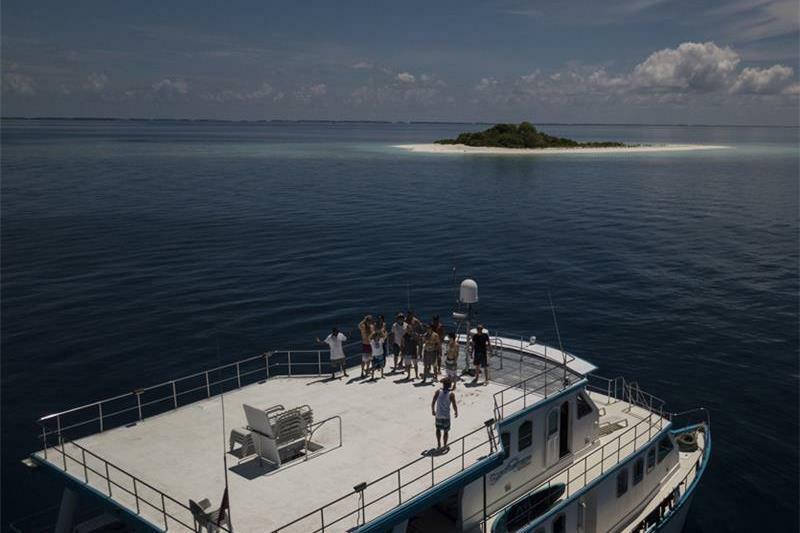 Access to waves is made easier with you own 18m Dhoni boat and 5m Dinghy (tender). 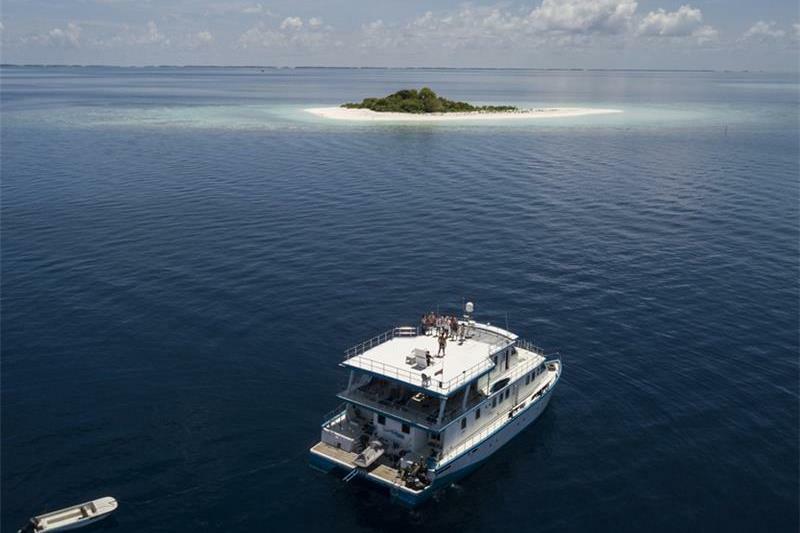 The MV Naera is the newest addition to The Perfect Wave Maldives Charter Fleet. 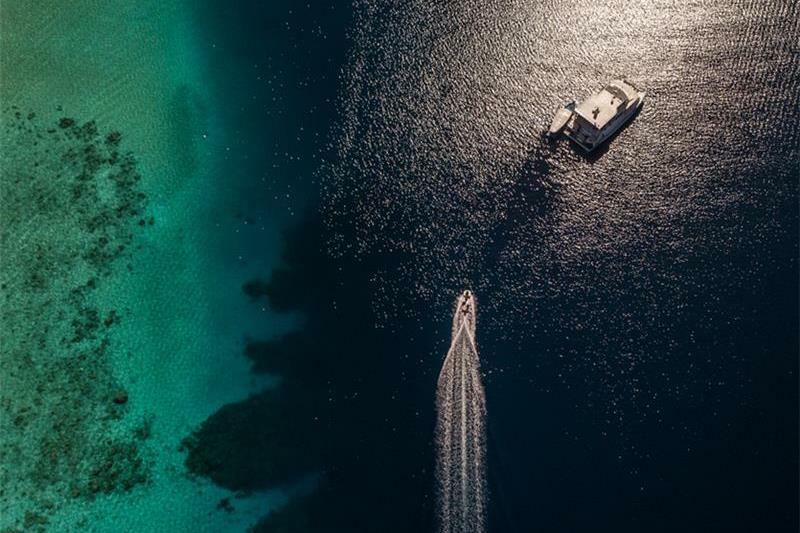 This spectacular catamaran with 8 air-conditioned guest cabins and is capable of cruising at night to maximise surfing time during daylight hours. 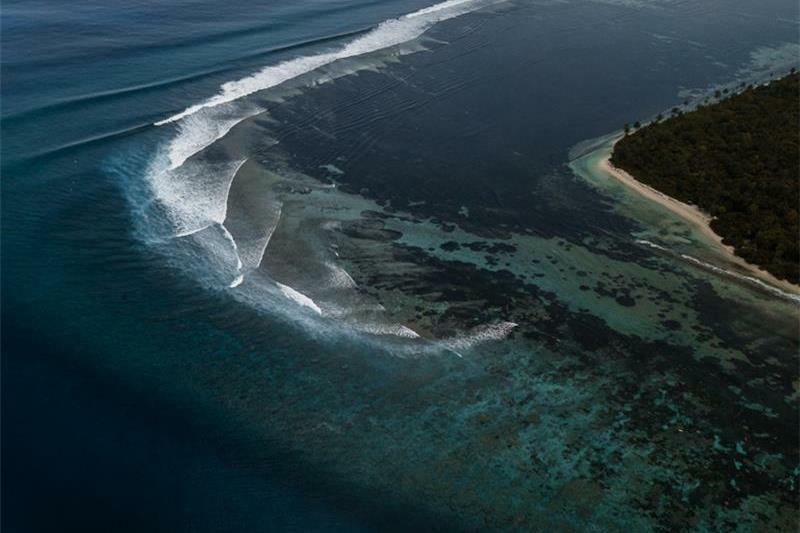 The Naera offers you a unique experience to chase remote waves across the Maldives, with one of the most experienced guides in the country. Chase the waves, run away from the crowds and wake up next to a new wave in the morning. This is a twin hull boat, so it's very stable and comfortable due to its sea-faring design. 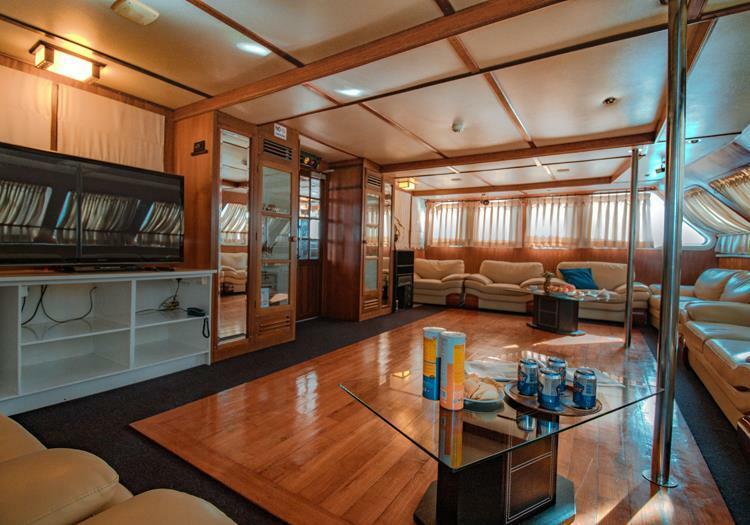 Features a bar and massive internal and external dining areas, library, Bose sound system, TV with DVD. Air conditioning is in all bedrooms. Rooms are available with a queen sized bed ideal for couples, or double bunk for families. 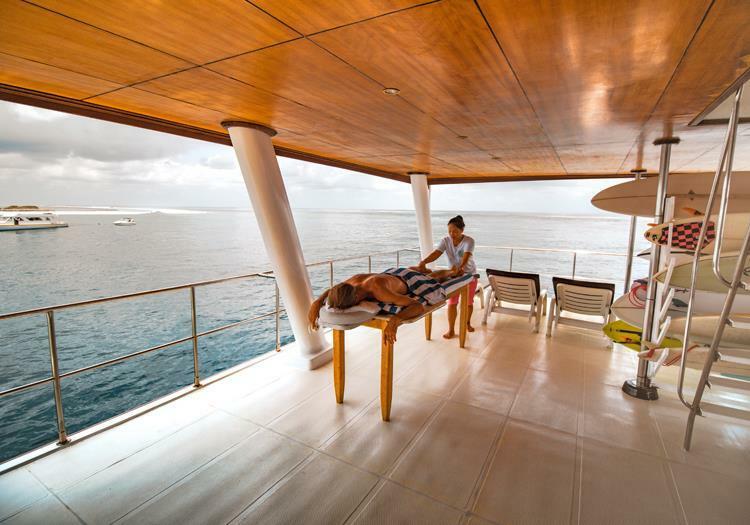 There is a masseuse on board, and jetski rental is available upon request (please let us know well in advance). 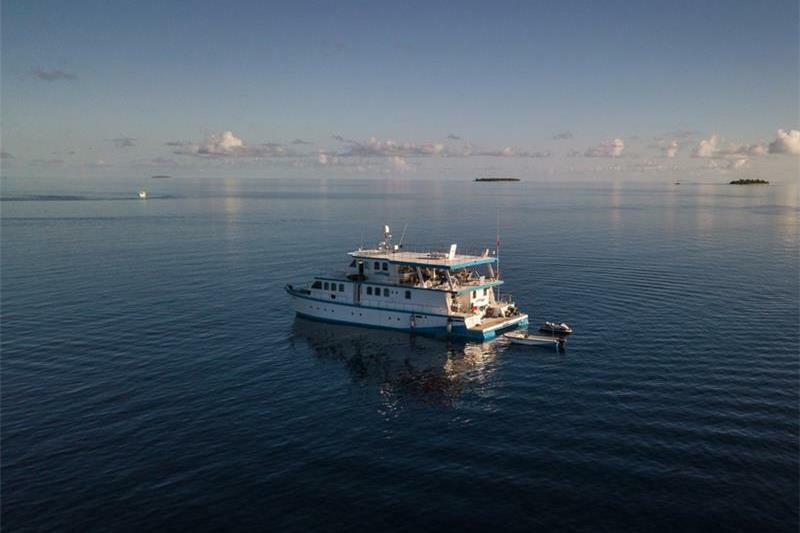 The MV Naera is a great addition to The Perfect Wave Maldives Charter Fleet. 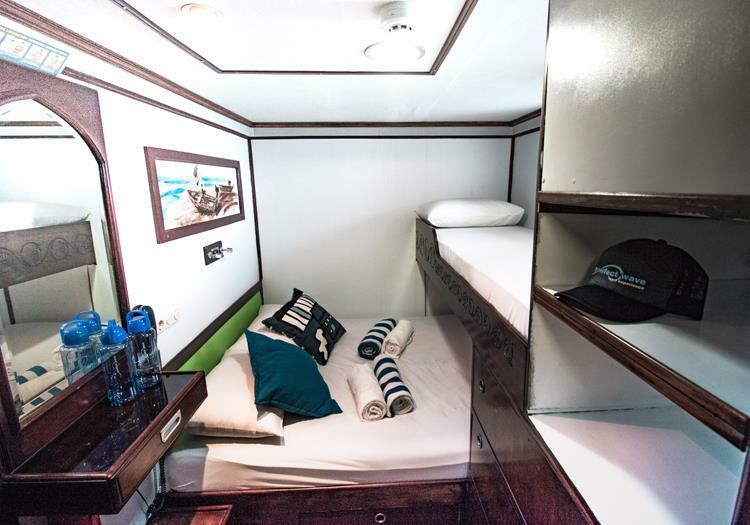 This roomy catamaran maximise usable space for a sense of freedom on board. Alcohol is available for purchase on board. If you have any special requests, please let us know well in advance and we will do our best to organise your favourite brand. For reference, 1 beer usually costs US$4 per can. Snacks: There are a range of snacks available such as Mars Bars and Twix bars on board to purchase. Jetski - On Request (must be booked prior to the trip). Please note that maximum size of surfboards allowed on Maldives domestic flights to Central and Southern Atolls is 7 ft including the board bag. The crew on the Naera were sensational. Their friendliness and willingness to help was second to none. The chef was amazing, everyone on board was stoked with the food. 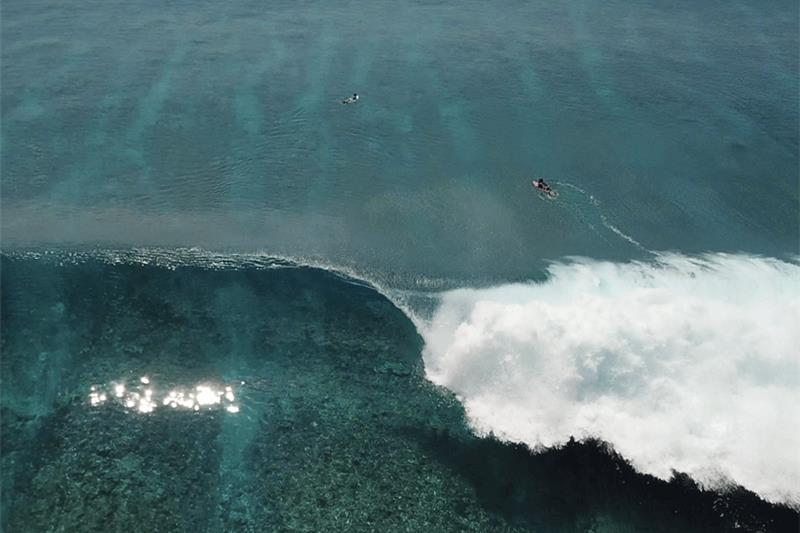 Our surf guide, Anko, knew all the spots to be, at exactly the right time. An absolute legend! 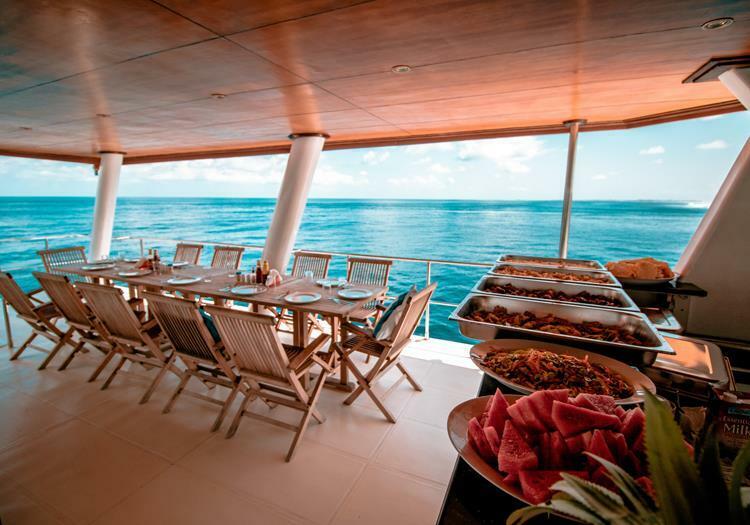 The Naera is a luxurious boat that we found comfortable and relaxing. 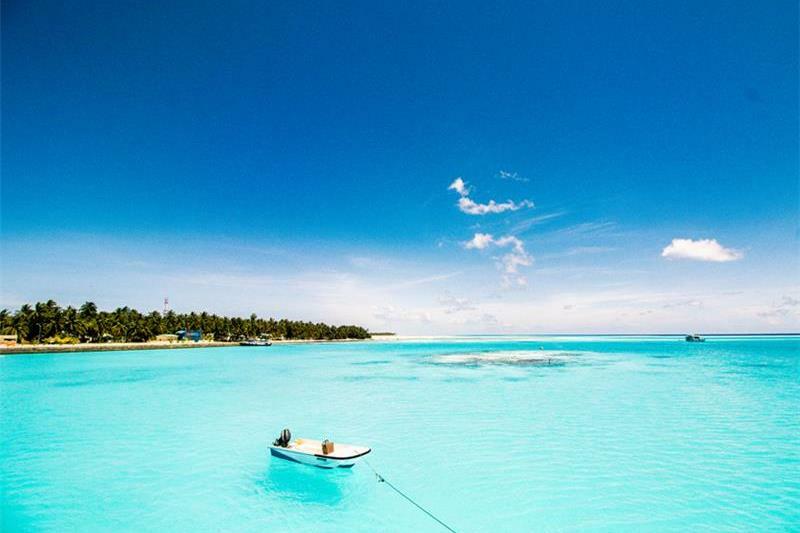 We spent our days in the water and on the waves and relaxed on deck in the evenings with the other surfers. The Naera was an amazing experience that we would definitely do it again. We were able to surf the best waves and our surf guide was excellent.